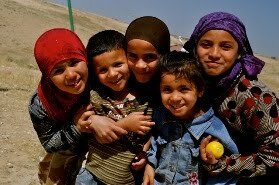 In 1948, the Bedouin population in Israel’s Negev numbered approximately one hundred thousand persons. Following the War of Independence in 1948-1949, most of these individuals were expelled/fled to Gaza, Jordan, or the Sinai Peninsula, even though they took no part in hostilities against Israel. The Jahalin tribe were intimidated into leaving for the West Bank in the early 50's, well after the war. Throughout the Negev, only about 11,000 Bedouin remained. Following international diplomatic pressure, relatively small numbers of expelled Bedouin were allowed to return to Israel. Before the war, Bedouin lived in all parts of the Negev (an area of approximately 13 million dunams, or 3.25 million acres) and earned their livelihood by raising sheep and goats throughout the region, as well as by agriculture, growing wheat and other grains, on an area of approximately 2 million dunams (about half a million acres). At the beginning of the 1950’s, the State of Israel decided to evict from their lands most of the Bedouin then residing in the central and western Negev, both fertile and well-watered areas, and resettle them in the eastern Negev, a barren area with very little rainfall. Bedouin were either moved by force, or persuaded to "move temporarily" for the sake of military exercises, etc. However, even after being transferred from their lands and villages to the area of the eastern Negev, the Bedouin communities in their new locations were not recognized either. Governmental officials did not allocate other lands to them as compensation, nor did they see to it that these persons were provided with basic services and employment as was done for millions of Jewish immigrants who arrived in Israel during the 1950’s and 1960’s. 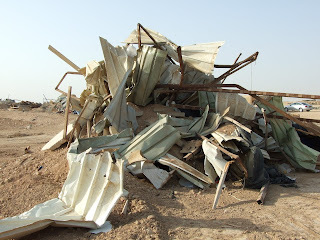 Today, this sad and disgraceful situation still remains the lot of half of the Bedouin residents of the Negev, who reside in 45 unrecognized villages. Because these villages do not exist as far as the state is concerned, they aree entirely lacking infrastructures for water, electricity, roads, education, and health care. An additional 95,000 Bedouin reside in seven towns that Israel set up for their settlement, but in which everyday living conditions are extremely difficult, with high rates of unemployment and inferior municipal services in comparison with the Jewish settlements in the Negev. 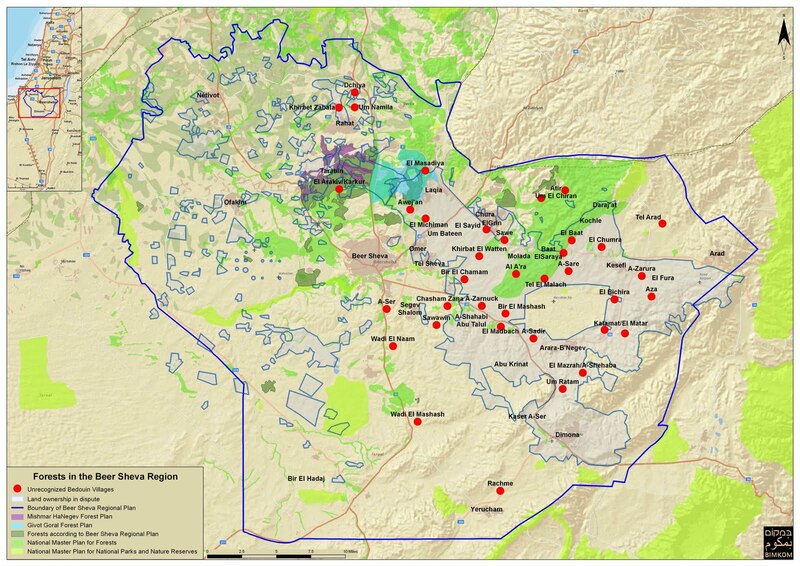 These seven Bedouin towns are located statistically at the bottom of the socio-economic scale of all settlements in Israel. Despite the Bedouin appeals to allow them to choose for themselves the type of settlements in which they will live — whether urban, rural, or community-based — the State of Israel insists on settling the Bedouin in newly established towns clearly inappropriate for the Bedouin way of life. 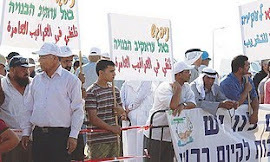 Israelis are concerned about Bedouin taking over the Negev and feel that the land is needed for the Jewish population. However, the lands claimed by the Bedouin are only 3% of the entire Negev. When Bedouin attempt to return to their ancestral lands, they are portrayed as trespassers, squatting and taking over land that belongs to the State. During the 1970’s, when given the opportunity to do so, 3,200 Bedouin landowners, filed claims of ownership for lands covering approximately 900,000 dunam in area (today the outstanding claims pertain to 650,000 dunams) out of a total of 13 million dunam over which the Negev extends. (There are four dunam to an acre) Today, after decades, most of the claims for ownership have still not been brought to court, most of the witnesses to the ownership of the lands have died, the lands have not been returned to their owners, and the injustice has been left uncorrected. 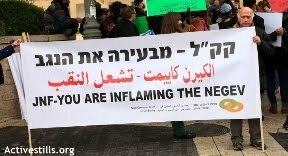 If this were not enough, recently the State of Israel has used the Jewish National Fund (JNF) to further the eviction of Bedouins in the Negev by planting trees on lands to which the latter claim ownership. 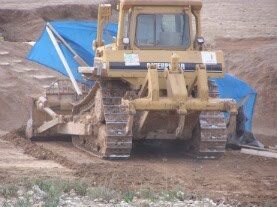 As the battle over these lands intensifies Israel authorities have stepped up the demolition of homes, destruction of crops, preventing of grazing, etc. There is no possibility of building legally in an unrecognized village, because there is no building plan. All use of the land for agricultural purposes or grazing is deemed to be an illegal intrusion. Another reality is possible. Some one dozen villages have been recognized in recent years. These villages were previously in the exact same situation as El-Arakib, slated for evacuation. A committee set up by the government has called the situation of the unrecognized villages untenable and recommended recognizing many more, but the government does not wish to do so. The Family Farms Law legalized the status of 60 Jewish (and one Arab) family ranches and farms set up without planning approval in the Negev. This is another precedent which could be used to grant a legal status to Bedouin communities. El-Arakib is a community of some 300 men, women and children approximately 10 kilometers north of Beersheba. The cemetery with the graves of generations of the El-Turi tribe testifies to the fact that this community existed long before the establishment of the State of Israel. The tribe says that it has lived there since the 19th century, and they have Turkish and British documents showing that they worked, the land and paid taxes. There are also bills of sale and purchase between tribes. In 1907 and in 1929 the El-Turis purchased land from the El-Ukbi tribe totaling some 1,600 dunam. Many of the members of the El-Turi tribe had been moved to the nearby town of Rahat. They maintained some grazing rights, and would return to El-Arakib to try and farm the land, or to be buried in the cemetery. However, the lands largely remained fallow for some 50 years. Approximately ten years ago, understanding that the plan was to erase their village by means of forestation, they returned and built homes, and began pressing their claims in court. Their case is currently in front of the Beersheba District Court, but these cases can take years to adjudicate. There have been constant attempts to demolish these homes, and every year agricultural crops are sprayed and killed. The struggle has reached new heights since the summer of 2010. The ILA has demolished El-Arakib seven times between July and November. While they have not tried to rebuild their more permanent structures, they have time after time attempted to rebuild simple tents, shacks and other forms of shelter with makeshift materials. 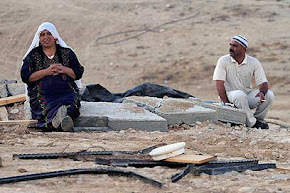 Each time massive numbers of police, helicopters and bulldozers come to demolish the families take refuge in the cemetery, the one area where they are left alone. From the cemetery and the temporary shelters that are built anew after every demolition, one can see the forests approaching from several directions, even as helicopters whip up dust in the nearby military training zone. See also this piece in the NY Times.